You’ve had a rough day in the trenches. The kids were “spirited.” The dishes were ugly, but they’re done. You want a glass of wine, but just one, but you have no intention of drinking tired plonk out of the fridge for the rest of the week. Bah! Surely there’s a solution. And there is! Sparkling is the perfect weekday wine. It shines when chilled, and with one little pressurized stopper it stays largely fresh all the way to Friday. Plus, if your evening plans include a non-liquid treat as well, bubbly goes with nearly everything from sweet to savory. But wait, isn’t champagne expensive? you ask. Well, yes and no. Actual for reals Champagne from the French region of Champagne? Yes, pricey. But very drinkable weekday sparkling wine can be found at your local grocery store for around $15 a bottle, and one of my favorites is the California house of Piper-Heidsieck, a Champagne producer that dates back to 1785. 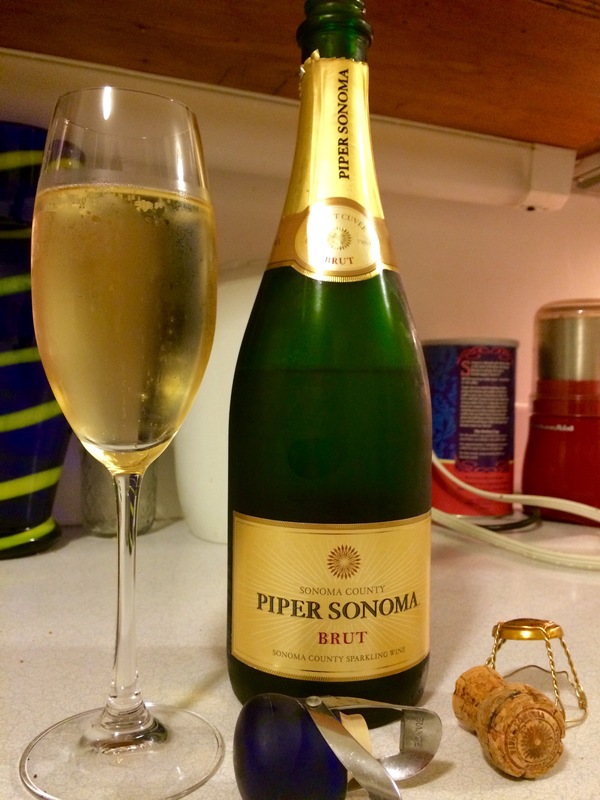 Piper Sonoma runs around $15/bottle; check it out!